Delhi Film Archive is a space that supports the freedom of expression and fearless listening. It is an archive of documentaries, short films, images and all other material that stimulate a collective response to censorship and the control of ideas. DFA is the Delhi chapter of Films For Freedom, an all India collective of filmmakers that emerged in 2003 to protest against censorship at the Mumbai International Film Festival and in different public spaces across India. 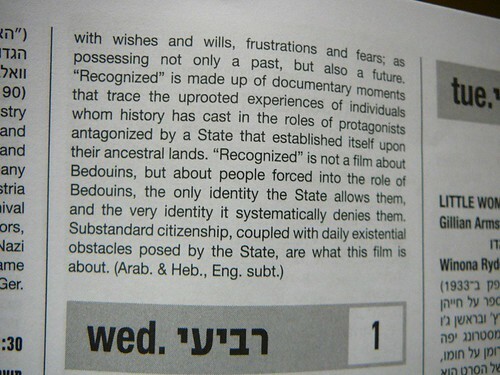 tonight I saw a documentary called "Recognized" at the Jerusalem Cinematheque by director Ori Kleiner which shows some bedouins who live in the Negev desert & have been displaced by the Israeli government and who have had their homes demolished and property confiscated. I'm afraid I still don't really know why. 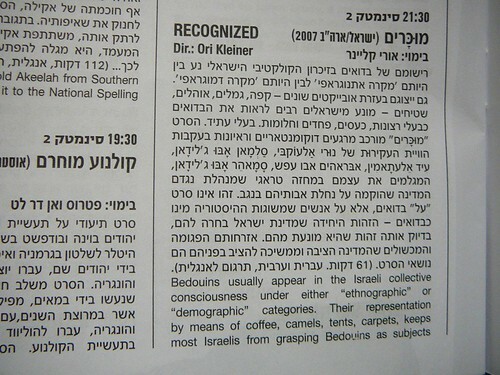 the film mentioned the people were not counted as Israeli citizens, despite them and their ancestors being born in Israel and having lived in the region for longer than the State of Israel has existed. and also that in some cases the land has been claimed by the military and national parks. 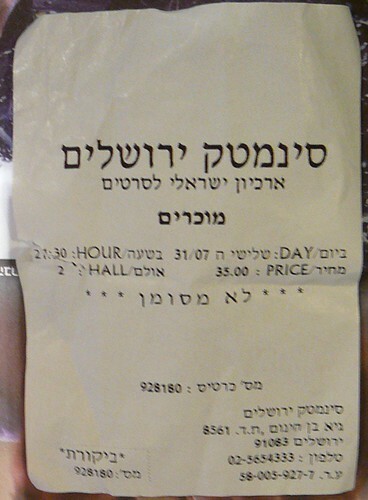 dukium.org has some info - time to read up on this..
location in the Negev desert in the summer of 2006. " 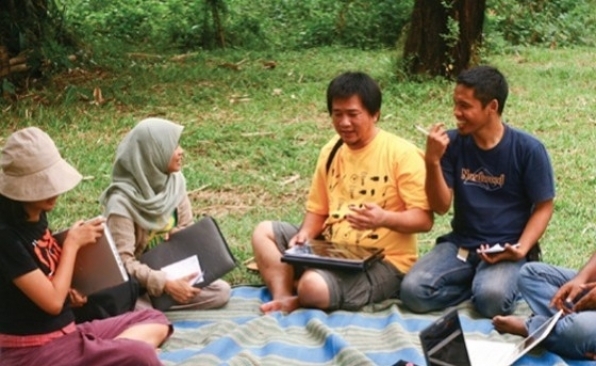 Drishti Media are a group of media professionals working on issues of gender justice, human rights and development. They use video, theatre, radio, other media and the arts to contribute to struggles for a just, humane and peaceful society.